calm, and in control of herself. This is confirmed by the shape of the phalanges of her fingers and the size and shape of her thumb. This cultured part of her persona goes deep, influencing everything she does. Anything she deems crass or vulgar will be avoided. Also, unpleasantness and confrontation will be avoided. This does not mean that she lacks passion and feeling. On the contrary, she feels deeply and is very passionate. 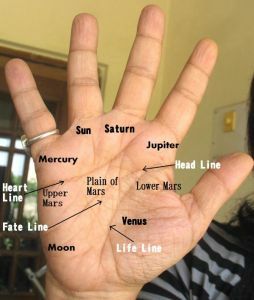 Check out her hand photograph here. 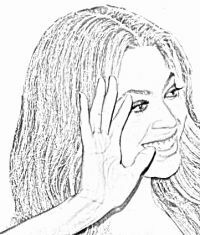 The shape of Beyonce’s hand and palm and her long tapering fingers show that she has a slightly selfish perspective which does not usually take the overall view into account. She can in fact become so idealistic and romantic that she can land up living in a world of her own. This can make her have some unrealistic ideas which are difficult to execute. She also sets high standards for herself and for others. Honor and high-mindedness are very much in her dictionary but she has to be careful not to become hypocritical. A study of both her right and left hands (the right hand shows her current state of mind as she writes with her right hand and the left shows her dormant or inherited qualities) shows that she has inherited her idealism. There is a distinct difference between Beyonce’s left and right hands. This means that she changed. And as a result changed her life and her destiny. Her talent and imagination have been enhanced significantly, developed through her own efforts (Mount of Moon and Headline). Her left hand shows less imagination and less creativity than her right, although both her left and right hands show intelligence. More importantly, both her hands show focus, determination and a strong desire to excel. In fact this quality of hers, the desire for perfection, is so deeply ingrained in her that this is what must have led her to work hard and develop her talent. The shape of Beyonce’s hand also shows her to be someone who plans her future moves, at times to a fine detail. She does have a penchant for going into the details in any case, of anything. Her Mercury finger and mount are fairly strong, which reveal her adroitness and cleverness as well as her ability to handle people. Beyonce is not entirely straightforward. I feel that one of the reasons for this is that she likes to avoid unpleasantness and the other is that she knows she cannot measure up to her own high standards. Related Reading: Michael Jackson's hands reveal his strengths and weaknesses or The hand analysis of music star Maddona or Kurt Cobain of Nirvana - hand reading or Rihanna's hand reading. Yeah, I know what you mean. Overall, I think she is an admirable person. hi there, is it possible if you could read jennifer hudson's hand? Sure, if her hand photos are available. will check.